Case studies on the effectiveness of ZO Skin Health and ZO Medical protocols. See the incredible results of those who started their ZO skin journey. While I am a strong proponent of hydroquinone, there are good reasons for physicians to prescribe alternatives for patients with chronic discolouration concerns. 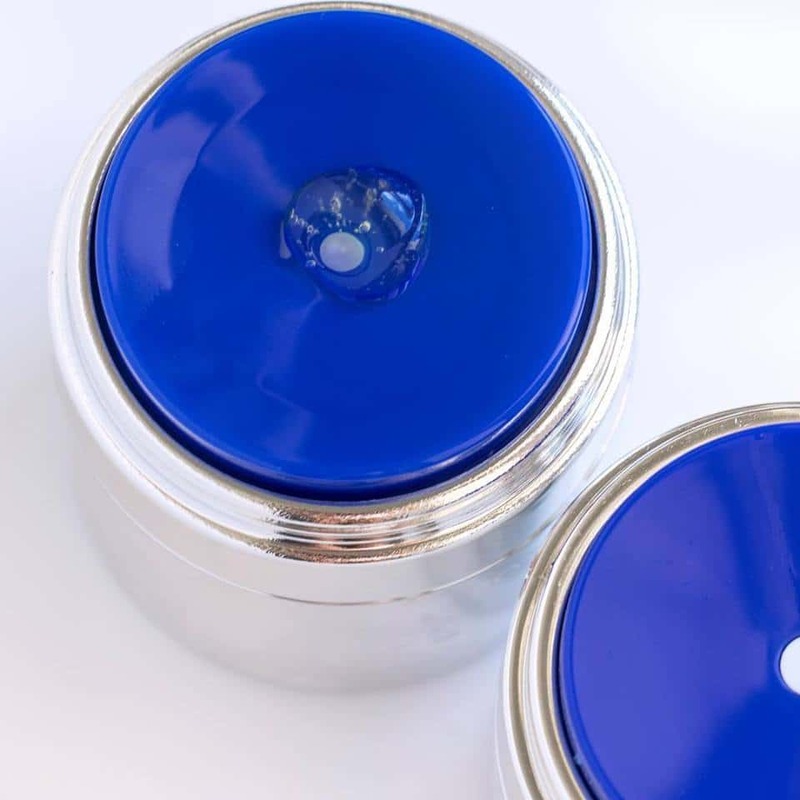 Used in reasonable concentrations and under physician supervision, hydroquinone is safe and effective for pigment problems such as sun damage, melasma and post-inflammatory hyperpigmentation. It can also prepare skin for rarer issues, like nevi of Ota and Huri, which require laser treatment. However, to save money and avoid paying consultation fees, some patients continue hydroquinone treatment for years without medical supervision. This is dangerous and can result in severe consequences that are difficult to reverse. Even under the best medical supervision, patients can develop resistance to the lightening effects of hydroquinone. In my practice, I have found 4% concentration of hydroquinone, used for four to six months, to be the most effective. After this time, some melasma patients stop showing improvement in their skin pigmentation. As the hydroquinone no longer affects the dark spots of melasma, the bleaching effects appear more pronounced in unaffected areas. As the active melanocytes in the affected areas develop resistance to hydroquinone, the patient’s hyperpigmentation in these areas worsens. To avoid such problems, after no more than five months of hydroquinone application, all patients should stop using this drug for two to three months. This allows melanocytes to stabilise, so they can withstand external and internal factors that might otherwise increase their activity, and restore the skin’s natural melanin. During this phase, patients can use other lightening agents and then resume hydroquinone if necessary afterwards. Some dermatologists may choose to treat resistant melasma by increasing the concentration of hydroquinone. I strongly advise against this approach. 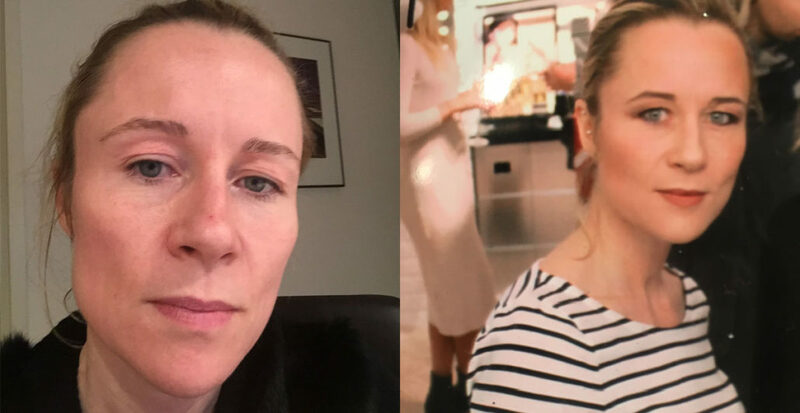 Aggressive application of 4% hydroquinone combined in equal parts with retinoic acid for five months works well, after which patients should use retinol alone for two to three months and then resume hydroquinone treatment if needed. Sun exposure is the main cause of the over production of melanin, but exacerbating factors include hormonal fluctuations, acne, medication and aesthetic treatments. Any condition causing redness and inflammation can enhance the discolouring effects of UV exposure, including overuse of hydroquinone. We now know that decreasing the amount of melanin in skin, as hydroquinone does, creates photosensitivity. Without proper sunscreen use (SPF ≥30, with frequent reapplication), photosensitivity leads to inflammation which stimulates melanin production. The sun can also affect melanocytes directly, increasing melanin production and possibly leading to rebound pigmentation. In addition, phototoxic reactions can trigger a chemically altered bluish melanin compound which is responsible for ochronosis. This is tough to treat because it involves pigmentary changes deep in the dermis associated with altered skin texture. In the last few years, I have observed a higher incidence of ochronosis in patients who have used various concentrations of hydroquinone, often for years on end. In these patients, ochronosis has occurred in the areas of the face that experience the most sun exposure. Using multiple modalities such as chemical peels, IPL and fractional laser treatments simultaneously with continuous hydroquinone use, also contributes to ochronosis. 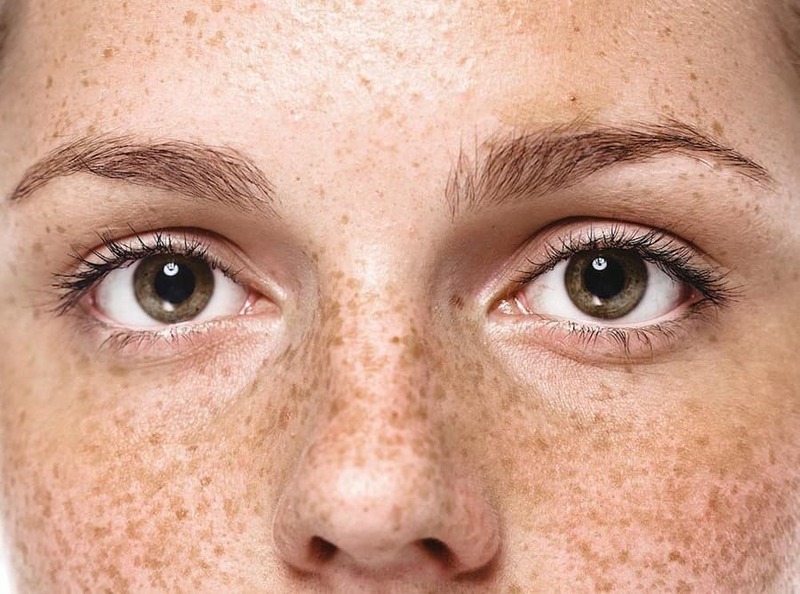 This serves as a reminder that when treating hyperpigmentation, we should not use exfoliative procedures, chemical peels, laser resurfacing, or other thermal rejuvenating devices as our first step. Instead, we should focus on proper skin conditioning—using hydroquinone, hydroquinone plus retinoic acid, alpha hydroxy acids, antioxidants, and any disease-specific agents necessary—for four to six weeks before and after any procedure, once skin healing is complete. This helps to restore normality and functionality to the skin and improves treatment results. A number of products combine hydroquinone with ingredients such as retinoic acid, glycolic acid and topical steroids. But prolonged use of such products can worsen pigmentation and create additional issues. This is especially true of products that combine hydroquinone, retinoic acid and steroids, and the combination of hydroquinone, tretinoin and fluocinolone. Long-term use can lead to skin atrophy, telangiectasias, skin sensitivity and more stubborn pigmentation. The topical steroids in these formulations aim to suppress inflammation. This is critical because inflammation excites melanocytes, stimulating melanin production. However, topical steroids only work on pigmentation induced by trauma or disease—post-inflammatory hyperpigmentation. In contrast, we must avoid prescribing topical steroids for patients with pigment problems not caused by inflammation, such as melasma. 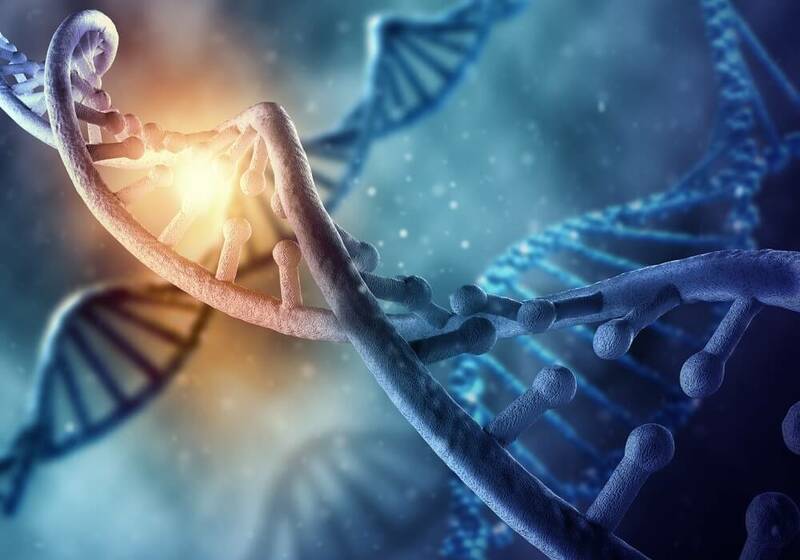 To avoid disrupting cellular function, these triple-combination products should not be used for longer than five to seven days, in accordance with their instructions. As an alternative, a combination of hydroquinone and retinoic acid without a steroid can be used. It is safer and quite effective when used properly for three to five months with strict sun protection. Non-hydroquinone brightening agents may also be prescribed instead of hydroquinone as a healthy maintenance system and to avoid atrophy, carcinogenesis and other local or systemic side effects with long-term exposure. You should have multiple approaches for each condition and be able to choose the right one for your patients. We have created a non-hydroquinone protocol—not to bleach, but to stabilise cells in order to stop the melanocytes from being active all the time. The ZO Non-Hydroquinone Hyperpigmentation System is a five-product regimen formulated to reverse discolouration, prevent new spots from forming and fight lines, wrinkles and rough texture. Brightenex Skin Brightener and Correcting Crème is the protocol’s anchor, formulated with retinol, vitamin C, melanin inhibitors and antioxidant vitamins E and C to target the three stages of discolouration. If redness or flaking occurs, the system includes Restoracalm Soothing Recovery Crème that can be applied as needed. Retamax Active Vitamin A Micro Emulsion supports the lightening effects of Brightenex, and fights signs of age with a blend of retinol, plant stem cells and bio-mimetic proteins to stimulate collagen and restore the skin’s barrier function. 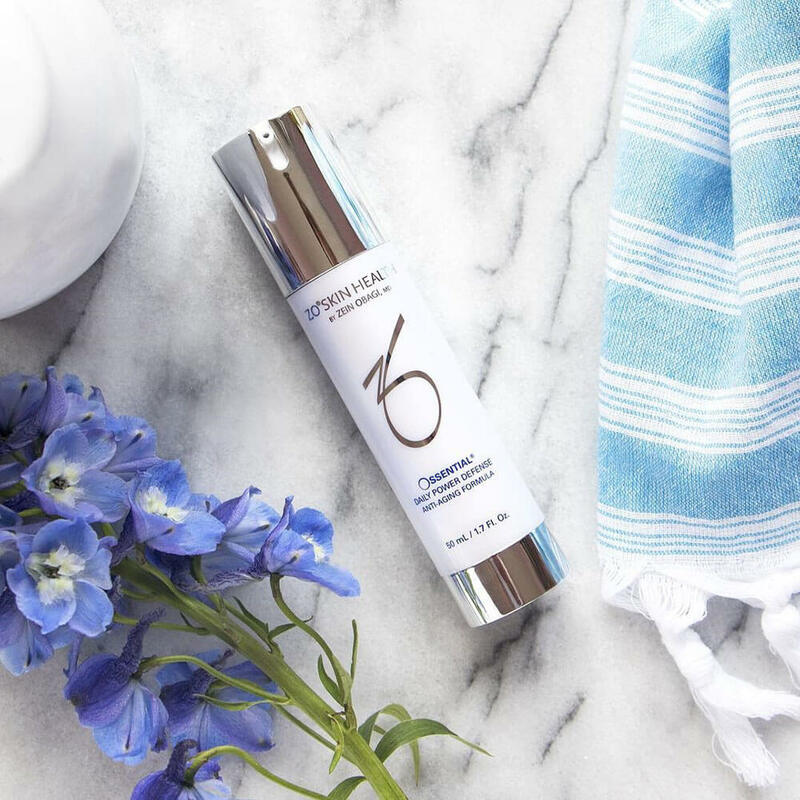 Ossential Daily Power Defense is a daytime treatment that features retinol, antioxidants and DNA repairing enzymes to help minimise UV oxidative damage and uneven pigmentation, while restoring skin function and elasticity. Sun protection is vital in any regime. 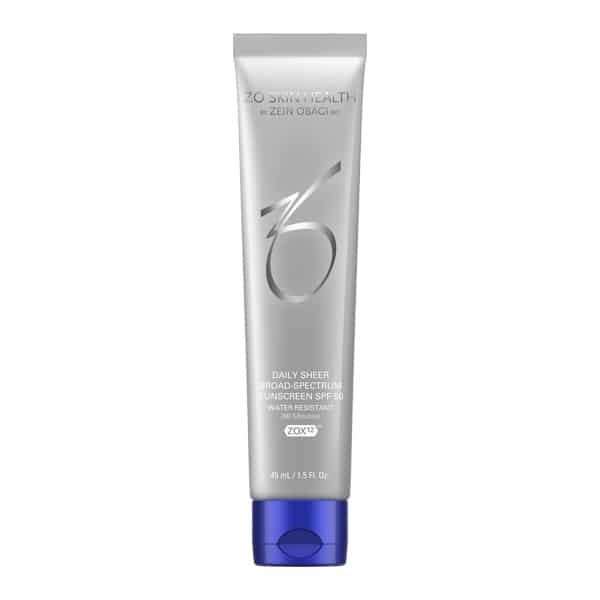 Oclipse-C Broad-Spectrum Sunscreen SPF 50 contains fractionated melanin and antioxidants to shield skin from high-energy, blue violet light. I recommend always using a mineral-based broad-spectrum sunscreen as in Oclipse-C for effective UV protection without potential reactions. The C-Bright 10% Active Vitamin C Serum harnesses the brightening powers of ascorbic acid. It’s a water-free formula that self activates upon contact with skin. Our non-hydroquinone skin brightener, Brightalive Non-Retinol Skin Brightener uses a multi-vectored skin pigment management approach with alpha-arbutin and bio-engineered plant phytotechnology to inhibit melanin production. The face, chest and the back of the hands are the most common places for discolouration, although dark spots can also develop on the arms and legs. Brightening products developed specifically for the body is a new category and takes into consideration the difference between facial and body skin. Brightamax Non-Facial Brightener is a full body treatment formulated to manage every stage of skin discolouration on contact. Retinol and vitamin C work to brighten existing pigmentation. Gluccosamine, glutathione, and soy isoflavones prevent future dark spots and discolouration. Stachys officinalis and acetoside mediate redness caused by histamine release, preventing post-inflammatory pigmentation. Through careful management of hydroquinone usage—optimally four to six months at the most—followed by non-hydroquinone treatments for maintenance, hyperpigmentation can be lessened and controlled. Every case is different, and some patients require additional modalities, such as chemical peels or laser treatments, although in many instances topical treatment is adequate as a solo approach. A success! I attended the GQ Christmas party – rockstars, models etc – and not one flake. Cleanser, Polish, Pads, Daily Power Defense, Oclipse Sunscreen + Primer SPF30. The flaking stopped and revealed the most gloriously radiant skin. Amazing. 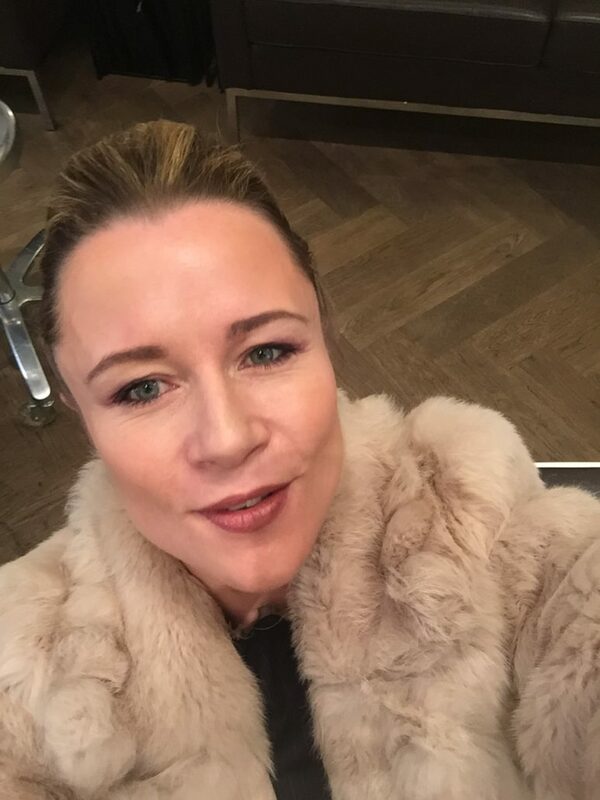 A facial with the fabulous Kate Kerr, and I was Christmas party ready (pic below). I also stopped by Dr van Eeden who looked at my skin under a lens which showed him how in just a few weeks my pigmentation is visibly less, and how the regeneration of the lower layers of skin is therefore under way. 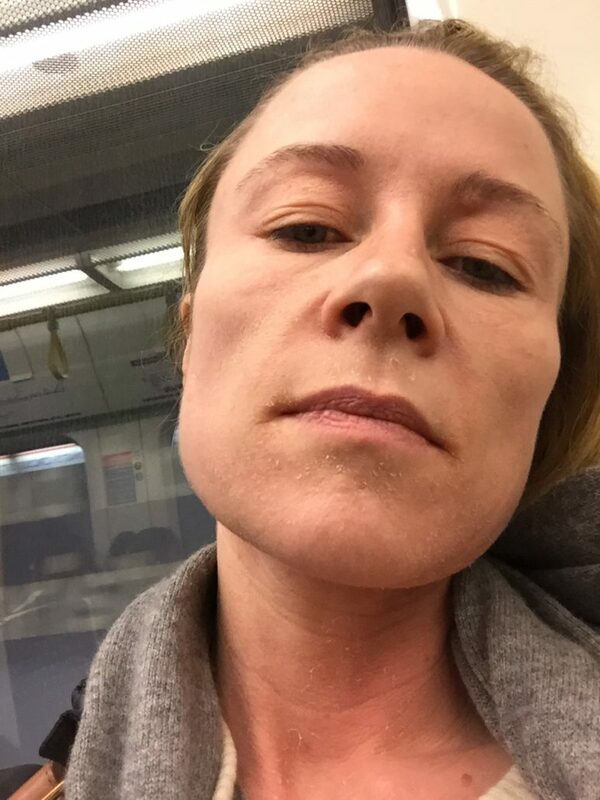 It is now Monday; I went back on the regime and I am back to skin shedding: as ever, I went a bit hard to start, and the creases by my eyes and mouth smarted so I have pulled back a little (but just a little). This week I wanted to unpack what Dr van Eeden told me about how ZO products bring back the skin’s ability to keep itself hydrated with its natural moisturising factors (why Dr. Obagi believes we should all step away from the moisturiser bottle). These are highly effective humectants: molecules which draw water from the atmosphere into the outer layers of skin. They become less effective as they age and reach the top levels of skin – so maintaining the correct program of exfoliation will be beneficial. Located on the surface of our cells, these are a kind of highly efficient, naturally occurring Hyaluronic Acid. As long as our skin is healthy, we remove the sebum, wash off external pollutants and nourish it (especially if we aren’t eating diets full of antioxidants if we are stressed etc) – as long as the skincare regime gives support, our skin should not need hydration. Let alone skin oils. But that is another story altogether.